NOW WE WILL “DO THE WORD” BY FOCUSING THIS SPECIAL SEASON ON BUILDING OUR FELLOWSHIP AND UNITY! FRIENDSHIP MEALS – As a church body inspired by Psalm 133, we will aim to share in at least 133 “Friendship Meals”!!!!!! Take a picture of your time together and email your photo to thisisus@forcey.org. We will do our best to post photos in the sanctuary. At the very least, email us to let us know that your meal happened! Consider using board games to enhance your time together. Suggestions: Apples to Apples, Double Ditto, Pictionary, PicWits, Family Feud Game, or whatever your favorite game is! 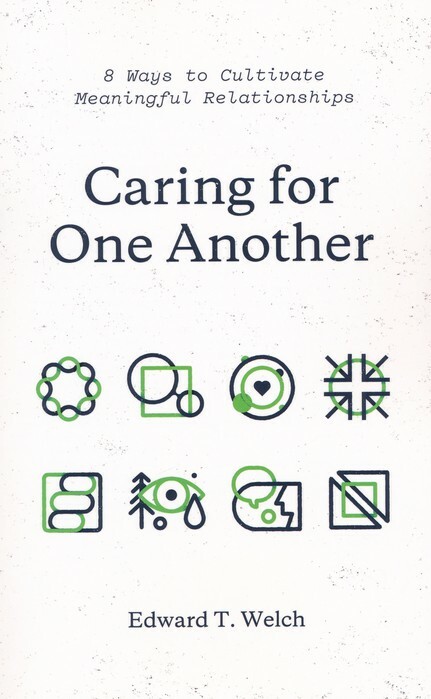 BOOK – Read Caring for One Another by Ed Welch – one chapter each week during the 50 days– and underline at least three statements in each chapter that stand out to you. (Pick up your hard copy in the church office, while supplies last. (Suggested donation $5 or $10) Can also be purchased through CBD or Amazon and is available in Kindle). 1As a prisoner for the Lord, then, I urge you to live a life worthy of the calling you have received. 2 Be completely humble and gentle; be patient, bearing with one another in love. 3 Make every effort to keep the unity of the Spirit through the bond of peace. 4 There is one body and one Spirit, just as you were called to one hope when you were called; 5 one Lord, one faith, one baptism; 6 one God and Father of all, who is over all and through all and in all. Pastor Game Challenges – Look for announcements about opportunities to challenge Pastor Lonnie to chess, Pastor Mike Maslin to basketball, or Pastor Mike Foster to table tennis!